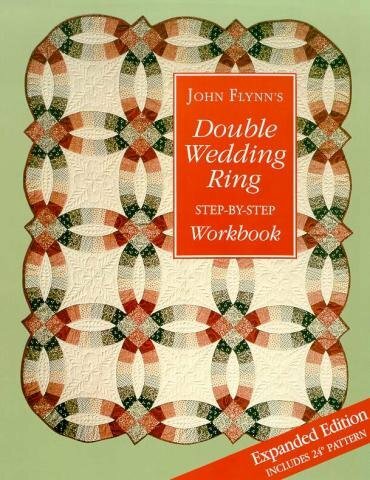 This workbook takes you through John Flynn's revolutionary method for strip piecing the Double Wedding Ring. Imagine the time saved by strip piecing this pattern's arcs, instead of cutting out each segment individually! The 48 page book includes color photographs, planning charts, easy-to-follow illustrations with step-by-step instructions and is wire bound. Patterns to make your own templates for 6 sizes of rigs are included and there are instructions for 3 quilt projects including "Fade to Black - A Hollywood Wedding". As seen on HGTV's Simply Quilts.